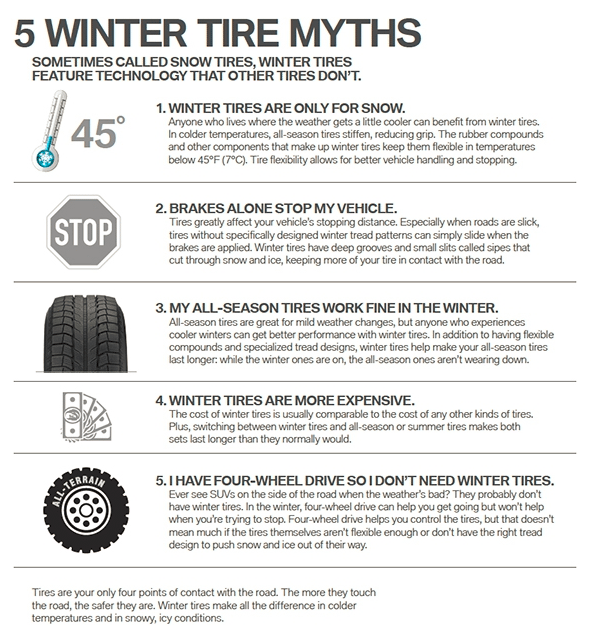 Winter Tire Season is Here! Winter tires aren’t just for snow. When the temperature dips below 7 degree Celsius the rubber compounds in winter tires better retain their elasticity than all-season tires, helping improve stopping distances. Contact us ﻿﻿﻿﻿or﻿﻿﻿﻿ schedule an appointment!